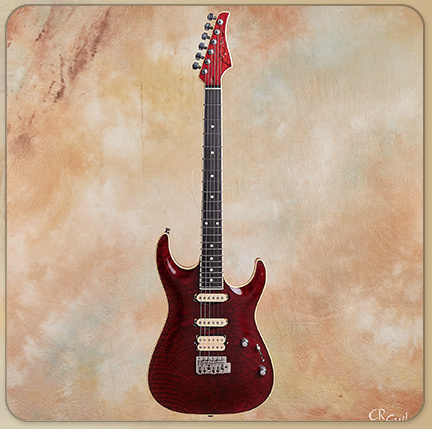 This guitar is very resonant due in part to Stephen's choice of Spanish cedar body and neck. Spanish cedar is very much like a light weight mahogany and has been a staple of very fine classical guitar builds for a very long time. That tonewood along with the stunning one piece highly figured Claro walnut top produce a throaty and expressive vintage-like tone. 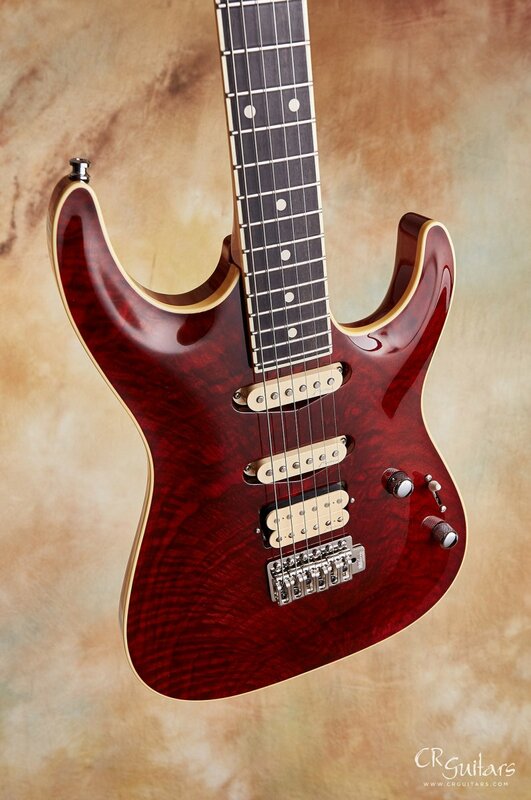 This is more than a highly versatile S-style guitar. 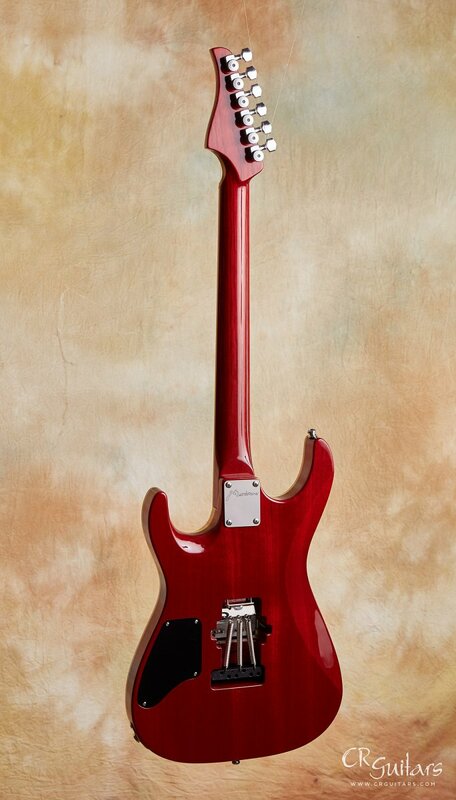 This guitar has soul. It's bluesy, jazzy and can tear the house down if pushed. 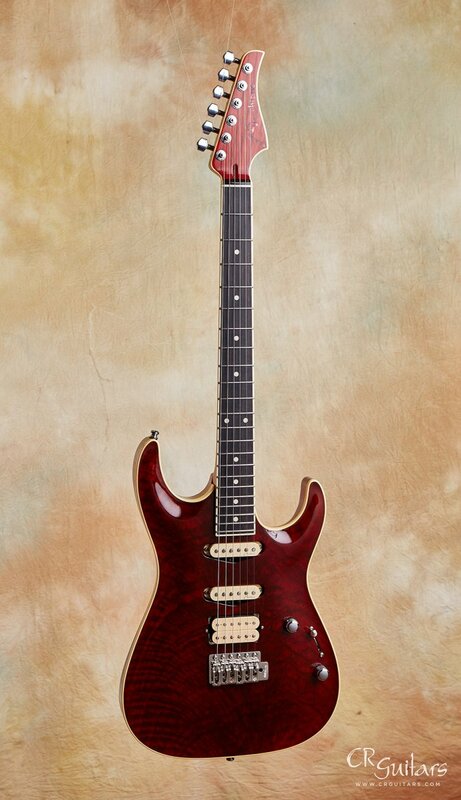 This is normally where I'd give you my take on an instrument, but this is such an incandescent example of the guitar maker's art that I'm going to introduce it to you through Stephen's own characterization of its genesis. 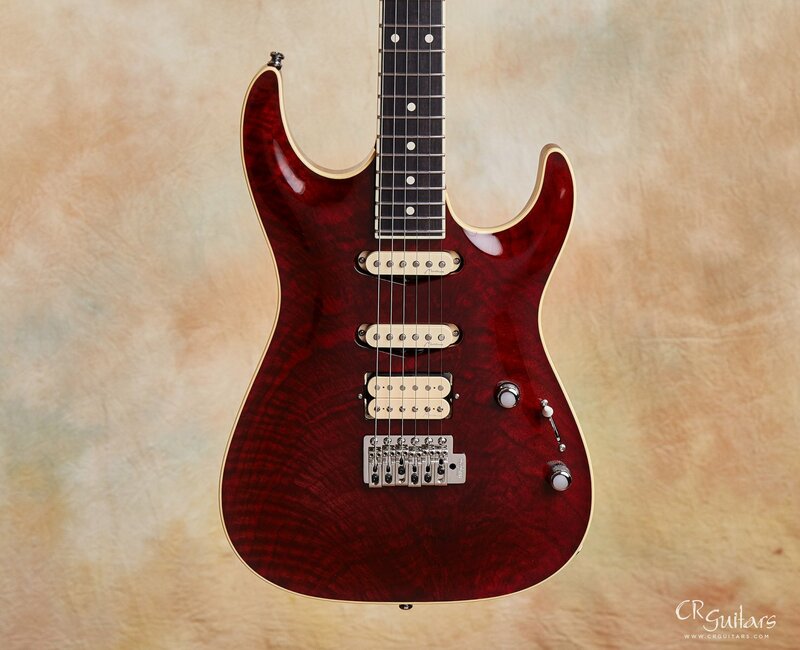 "The renaissance of the infamous Mark Knopfler carve top guitar (MK-1) began a couple of years ago when a prominent European collector and guitarist approached me about crafting a faithful replica of Mark's guitar based on my experience building the Pensa-Suhr guitars in the early 1990s, my subsequent work with my own Marchione carve-top electric guitars and his private collection that contains a number of Marchione and Pensa-Suhr guitars from that era that we could use as examples. Additionally, a trove of photographs of Mark's personal guitar were utilized in the precise 3D drafting of this remarkable instrument. 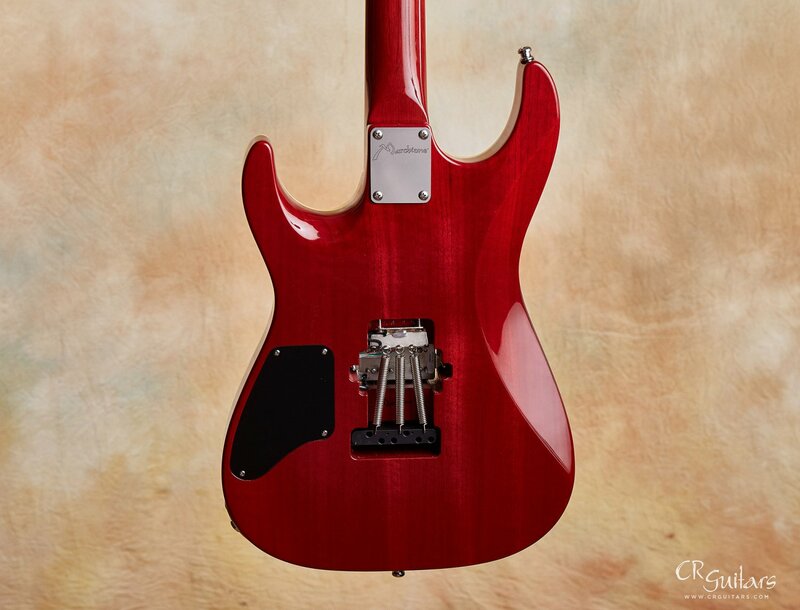 "What distinguishes this new MK-1 from other similar models is the meticulous research into all of Mark's guitars' unique specs that are significantly different from other carve-top electrics. 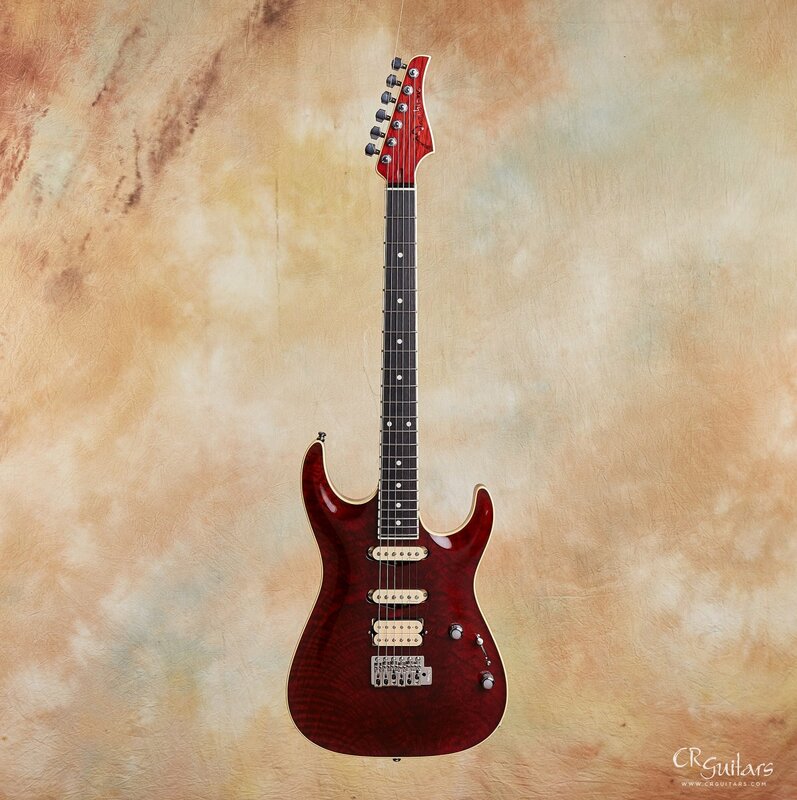 Starting with the unique outline of the body, followed by the incredibly ergonomic geometry and lovely hand carved top, this model has a magical quality that pleases the eye, ear and heart. When playing the guitar, the absolute stability and resonance of the instrument are immediately apparent. 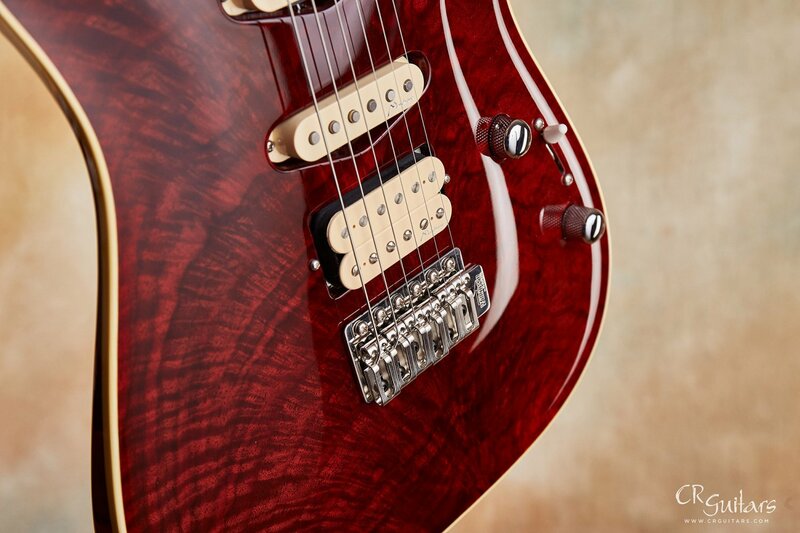 "This new MK1 Modern amplifies everything I've learned building the classic Mark Knopfler model. I mill my own woods and have deep access to materials that many luthiers aren"t able to obtain. Given these exceptional and unique tone woods, paired with my all hot hide glue construction, I'm able to bring an added dimension to the MK1 model. 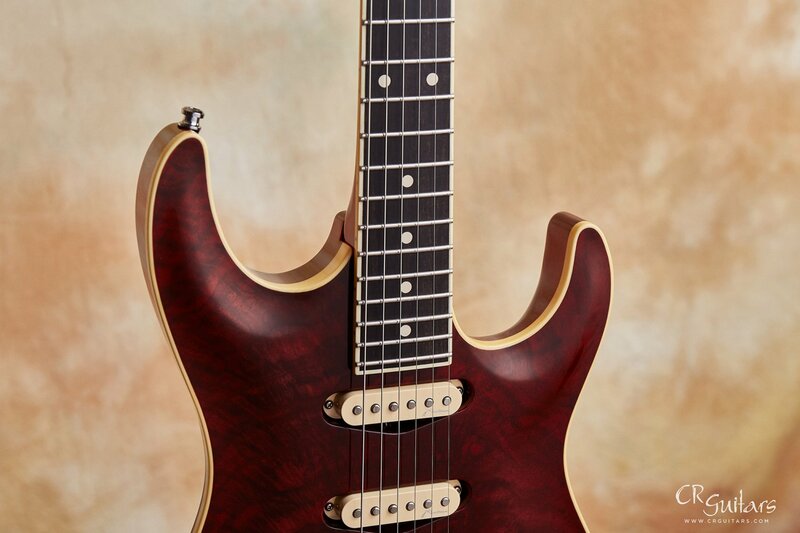 A new look, a throaty tone and unique woods are the MK1 Modern’s signature, combined with all the high artistry and refinements that the classic MK1 is known for." Let me get right to the point. 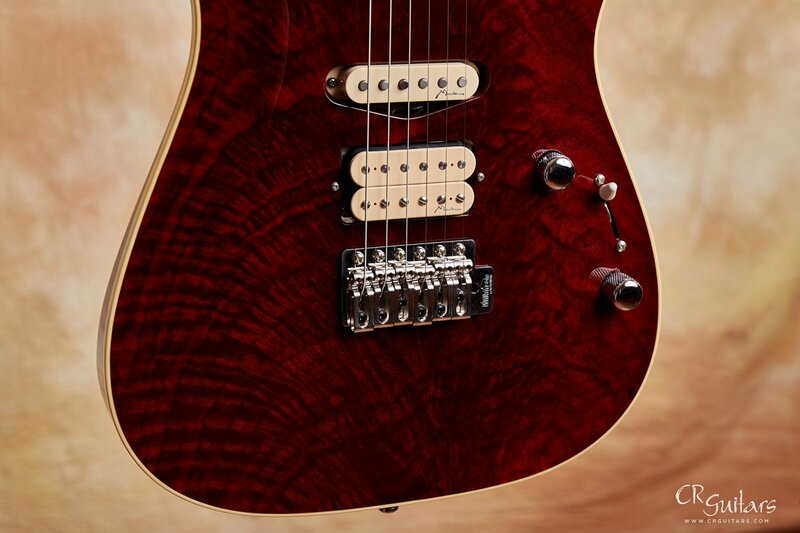 All boutique carved top S- style guitars, even those built by some of our finest luthiers, are not created equal. 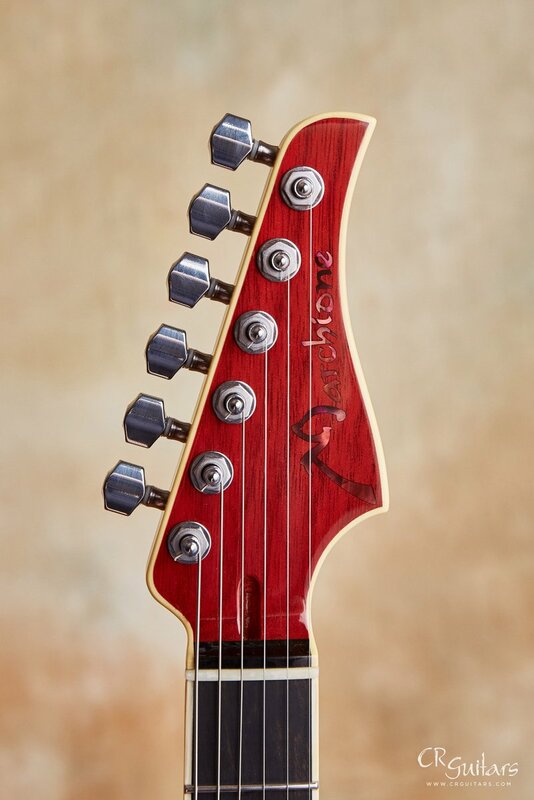 In my opinion, hands down, Stephen Marchione builds the most seductive, meticulous and wondrous carved top Strat style in his MK1 (Mark Knopfler 1) model. 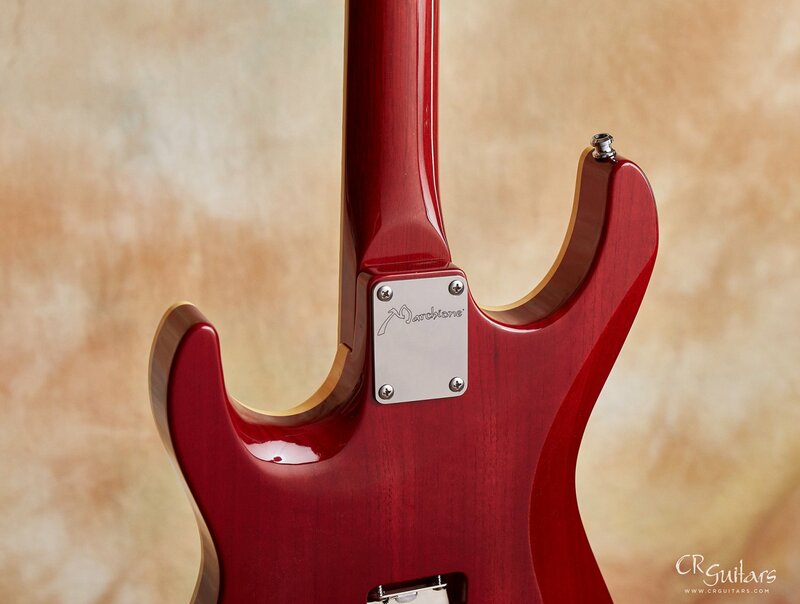 His wood choices, his craftsmanship, his experience, and his authority in regards to this model are second to none. He leaves nothing to chance: The way he does his amazing tight binding, his wiring and electronic components, his extremely fine fret work, his all hide glue construction. He dots every i and crosses every t.
His brand new MK1 Modern edition elevates the MK1 to a new height. 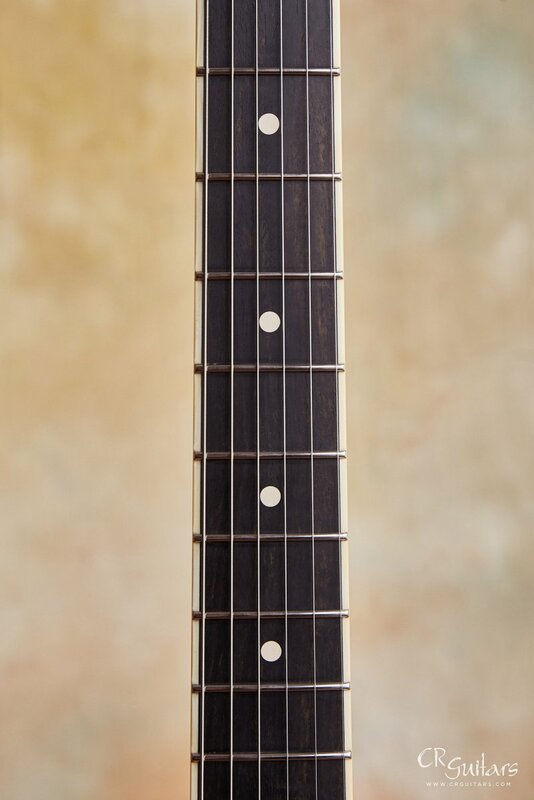 This guitar is very resonant due in part to his choice of Spanish cedar body and neck. 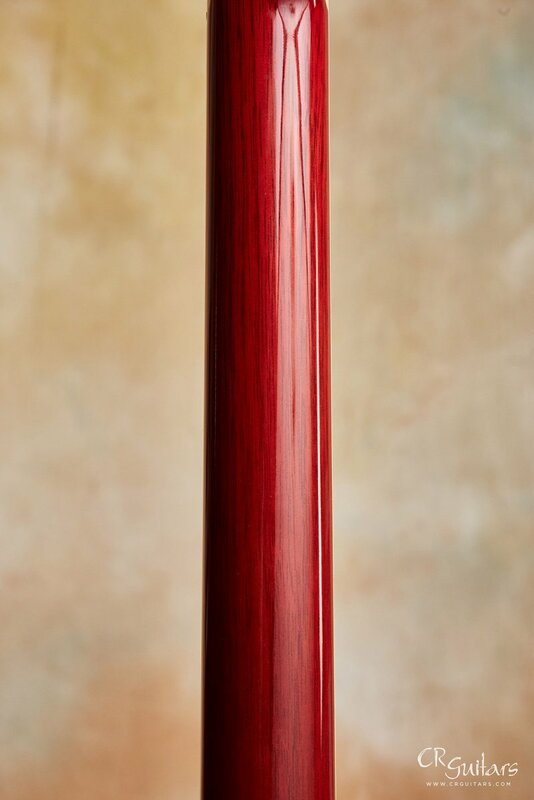 Spanish cedar is very much like a light weight mahogany and has been a staple of very fine classical guitar builds for a very long time. That tonewood along with the stunning one piece highly figured Claro walnut top produce a throaty and expressive vintage-like tone. 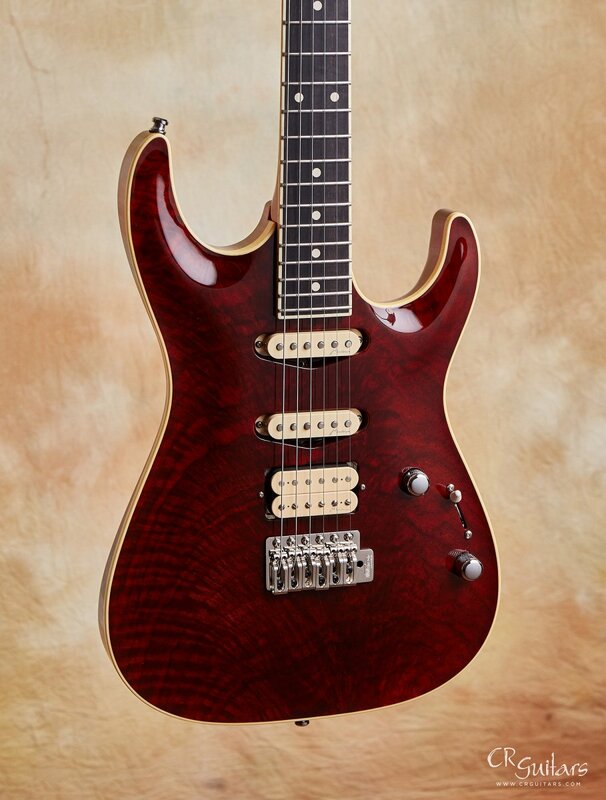 To me this is more than a highly versatile S-style guitar with a broad tonal dimension that can cross over from genre to genre. That's because it does so while maintaining its own unique voice. This guitar has soul. It's bluesy, jazzy and can tear the house down if pushed. In the MK1 Modern, Stephen has planted his flag deep within the boutique S-style world. 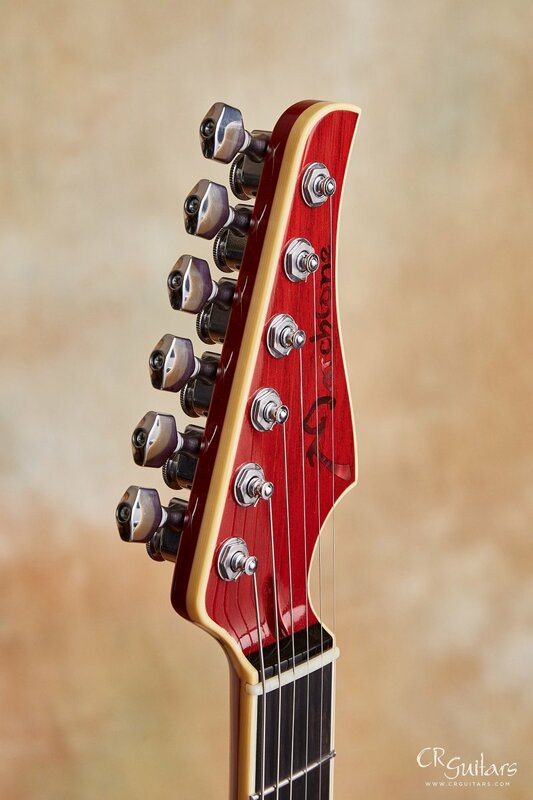 If you are looking for a guitar that bubbles with its own unique excellence yet has one foot in the familiar this offering is definitely worth checking out. At one time in his life, Stephen Marchione spent six hours a day playing the guitar. 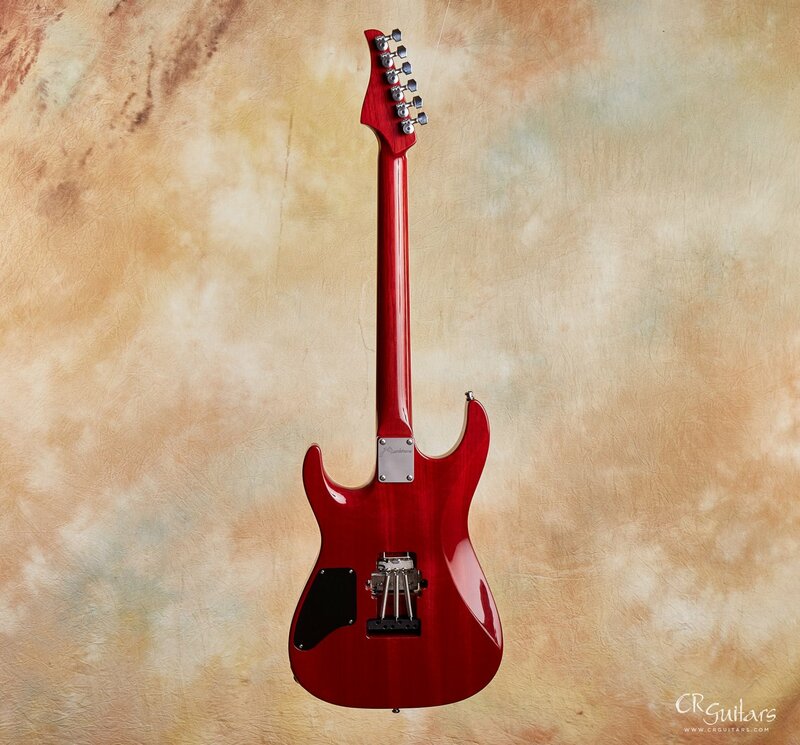 Now he makes them—in fact, since beginning his career as a guitar maker in 1989, Stephen has created more than three-hundred guitars for some of the best guitar players in the world. The journey from high-school jazz devotee to “the finest young guitar maker working today,” according to Chamber Music America, was a rich and complicated one. 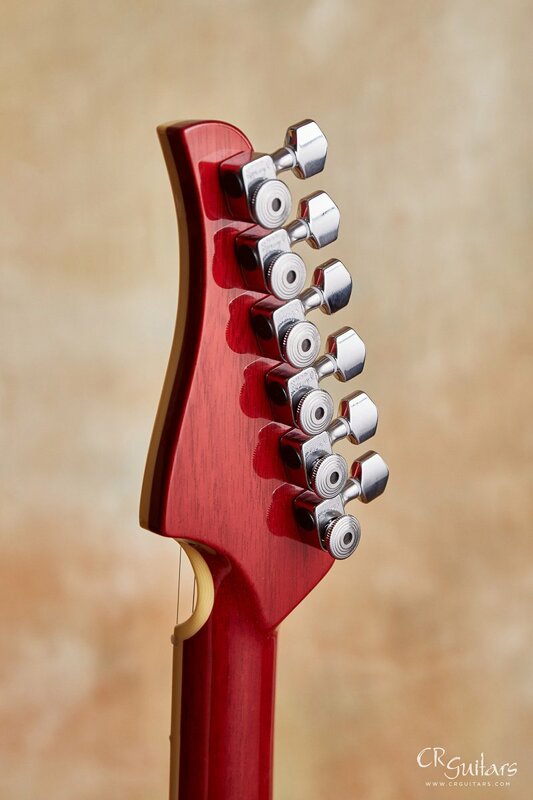 After establishing his own brand and working for several years in New York, Stephen Marchione moved to Houston, Texas, where he builds his entire family of guitars, but Marchione has also studied privately since 1994 with Manhattan-based violin maker Guy Rabut. "I try to build one violin a year to keep my chops up" Says Marchione. He feels that building classical guitars and violins broadens his understanding of top thicknessing, tap tuning, and surface preparation. On the other hand, building electric guitars has taught him the importance of the fretboard in a player's appreciation of a guitar. 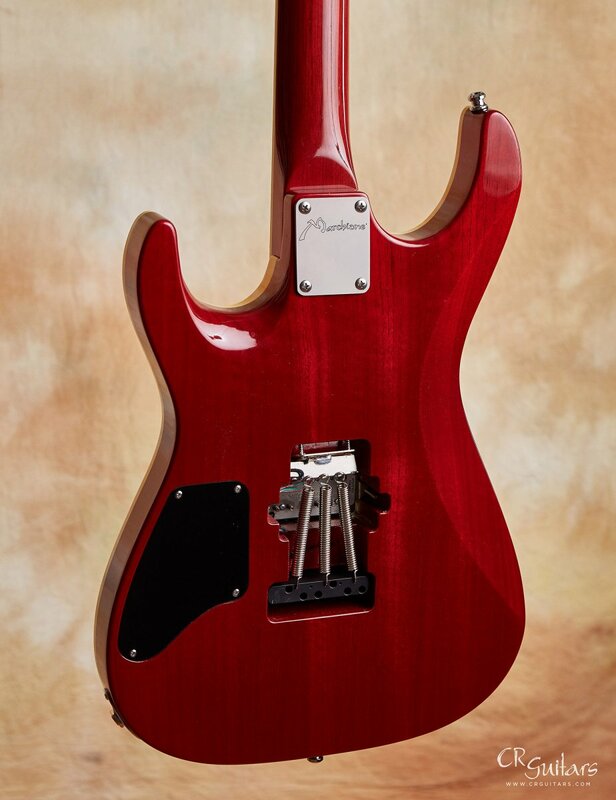 Marchione is considered one of a very few leading-edge pioneers in the design of guitars that combine elements of both jazz and classical construction. 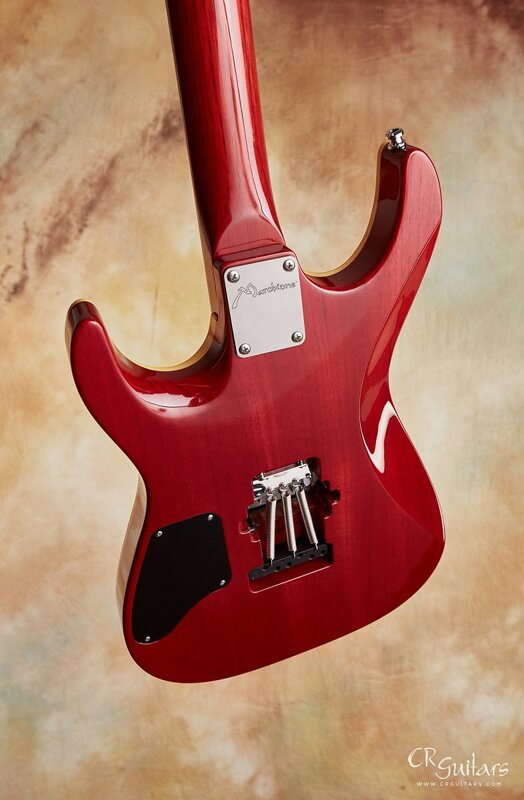 This well-rounded approach contributes to the magic one finds in a Marchione instrument, a magic that is at once very broad yet truly individual.